The Easter Long Weekend came as blessing in disguise for me. 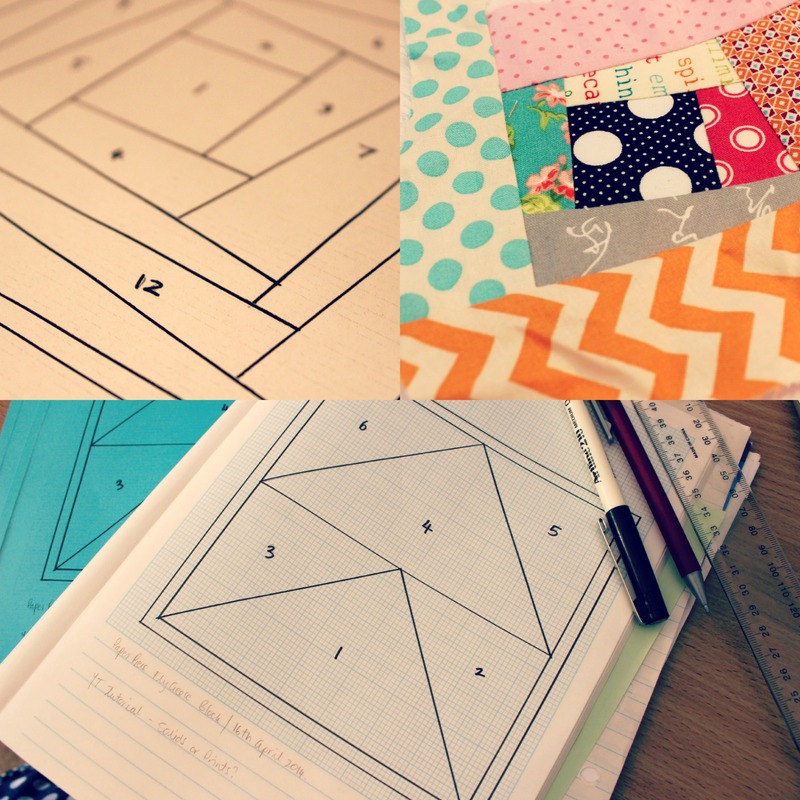 I was able to use the time to focus on getting my Foundation Paper Piecing tutorial edited and uploaded for you! Initially I was going to demonstrate the technique using a Wonky Log Cabin pattern that I had drawn up, but decided it was possibly a little bit too complicated and fiddly for a ‘beginners’ tutorial. So in the end, I drew up a Flying Geese type pattern that seemed a lot more quick and simple. The method I use to tackle Foundation Paper Piecing is the way I was initially taught and feel is the most easiest, quickest and neatest way to do it. However, there are plenty of other ways Foundation Paper Piecing can be done. These preference will (and do!) vary from quilter to quilter! Is your method different from mine? Let me know how you do it! Previous PostWhen life gives you lemons… Next Post5 Things I’m Loving Right Now! Brilliantly done. Your explanations, descriptions and video shots are all perfect to make this step by step very easy to understand and follow. Thank you for all your time and efforts in putting it together and sharing your skill. It is greatly appreciated. Loved it Amanda. It was very easy to follow. I’ve made my own paper pieced Flying Geese. Thank you. Looking forward to more techniques & tips. Very cute video. I just started paper piecing and I enjoy it. I didn’t know if you do this but I change my stitch be shorter this seems to help when tearing the paper off. I loved seeing buzz in the background too! Thanks for your awesome video! Look forward to more of your videos and love your outtakes! Ooo, thanks for the tip! I never thought to shorten the stitch length. I’ll definitely try that out next time! Very nicely done. This made paper piecing easy to understand.